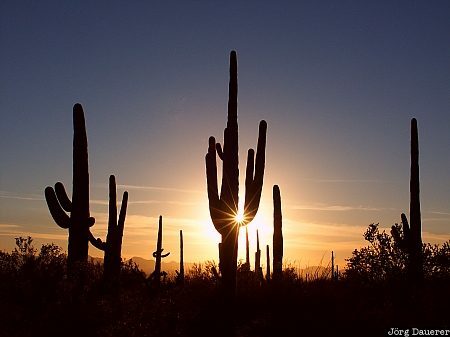 The sun is setting behind saguaro cacti in Saguaro National Park near Tucson in southern Arizona, United States. This photo was taken in the evening of a sunny day in February of 2004. This photo was taken with a digital camera.